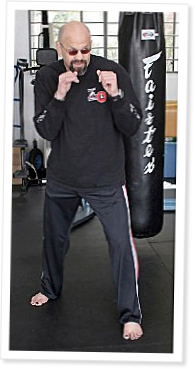 CrossPit is a blending of CrossFit with the Pit, John Hackleman's mixed martial arts (MMA) and fitness training program—a blending that we believe best prepares fighters for the ring and the rest of us for general self-defense. CrossPit's efficacy comes from its simplicity. Proficiency in stance, movement, and a few basic strikes, combined with the gas to go the distance, is usually more effective on the street and in the cage than extensive training in complex martial arts sequences. The Pit's Chuck Liddell has demonstrated this at the top level of professional MMA, and amateur fighters from the Pit are regularly beating much more experienced and “highly trained” fighters. CrossPit, like CrossFit, is a multidisciplinary approach that takes what works and discards the rest. What works is what wins fights. MMA provides a great testing ground, and the abundance of street fights posted to the Internet show what works without a referee. The same protective stance, proper movement, power to stop your opponent, and stamina to outlast him are needed in both arenas. When it comes to a successful punch, power is of the essence.